Are you constantly looking for time in your day to complete tasks and activities? Are you struggling finding the time to even manage the simplest of tasks? The answer could be simpler than you might have realised. You need to define your time during the day, it will allow you to book appointments for house cleaning or even taking the dog for a walk. Knowing when you need to do these tasks can help you get more done than you might have previously imagined. The appointment organizer has the day planned; they know the time structure of the day and are able to work from this to help fulfil their required daily tasks. This is often difficult for many people to set up, it can feel too restrictive and regimented but others find freedom in the structure day. It will depend on how you feel as to the amount of structure that you give yourself. Having the day completely mapped out might seem like too much of a chore; there are easier ways that you can adapt the concept without mapping all of your day. You need to set aside time in your day when you complete certain tasks, it could just be a morning, lunchtime and evening routine that you complete as a way to define your time. This idea I first came across when I was reading the Flylady website; here they encourage you to create habits and these habits become part of your routine. In some ways they work, but in other I found them lacking, I found them difficult to stick to, until I realised that the habits were there to help me and not to make my life more difficult for me. I was never good with the idea of hotspots, and I have never understood what you are supposed to do on a certain day. I found it too difficult, I needed something simpler, but equally structured that ensures that I get the required tasks complete. 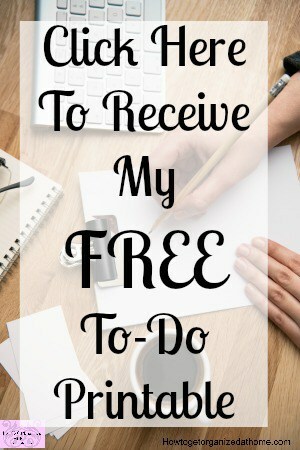 For me it is appointments, not a complete day set out but the odd time of the day, when I know what task needs doing and blocking that time out of my day. This ensures that I have adequately planned my day. I like to define my time and I need to have an adequate reason if a task isn’t finished on time. If this happens I don’t punish myself, I allow space for wiggly room; changes to my day happen and I just readjust my schedule to meet the changing day. I often thought that these unexpected changes happened because I had young children, but even having older children there are times that events happen and you need to deal with the situation in hand. I like my days organized, to work how I have planned it, but I have learnt to accept the changes and adapt to the situation in hand. This makes my day less stressful and I am more able to manage the changes. At one point it would stress me that change happened but as I mature I am learning that I have to take the changes and not panic over the uncompleted tasks. I will get to them, I might just need to adjust my defined time to compensate.